Avast Free Antivirus is a full-featured product, with the same antivirus and anti-spyware scanning engine used in our premium products. Leaner and meaner version 6.0 provides even faster protection than its predecessor and offers a web-reputation browser extension as well as virtualization technology. 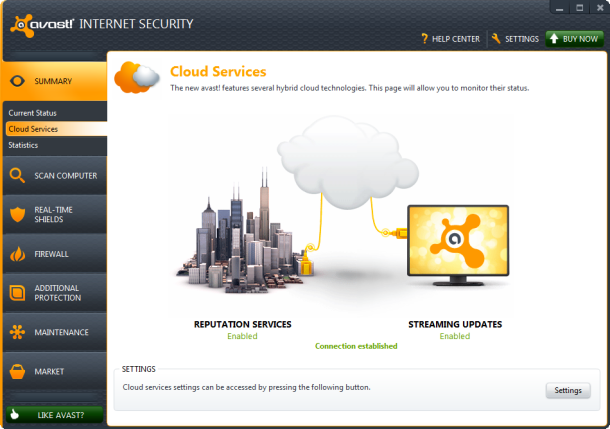 Accurate threat updates via avast. CommunityIQ technology ensure worry-free downloading, surfing, social networking, and gaming–for over 170 million registered users (and over 130 million active users).